Kick of the New Year with a Green Belt and better skills that will increase your value in the work place. 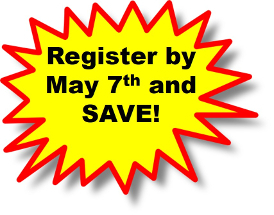 For 10 weeks, starting Tuesday, May 14, 2019, from 6 to 9 pm Eastern Time, you can become a Six Sigma Green Belt through Merit Career Development's online evening education program. Why a Green Belt? This widely recognized certification, taught by a Six Sigma Black Belt, will help you better analyze problems and effectively manage quality improvement projects. By the completion of the program, you will earn 30 PDUs, CLPs or PDCs. Earn 30 CLPs, PDUs, or PDCs. Deepen your learning by taking our free Project Management Assessment online before the session. Look for details in your confirmation email. Only 36 spots available - sign up now! Fee includes continental breakfast, buffet lunch and all-day beverage station.